PoPville » Per Your Request – Let’s Resurrect Dcist’s Overheard in DC series!! Per Your Request – Let’s Resurrect Dcist’s Overheard in DC series!! Why yes, yes we can!! If we can do it for The Peeps Contest we can do it for this!! Of course, totally up to your participation – so – if you hear something good – please send an email to [email protected] with Overheard in DC in the title and let me know where you heard it. This’ll be an experiment but if we get good entries we’ll make this a weekly series to also be posted every Friday. Fingers crossed!! 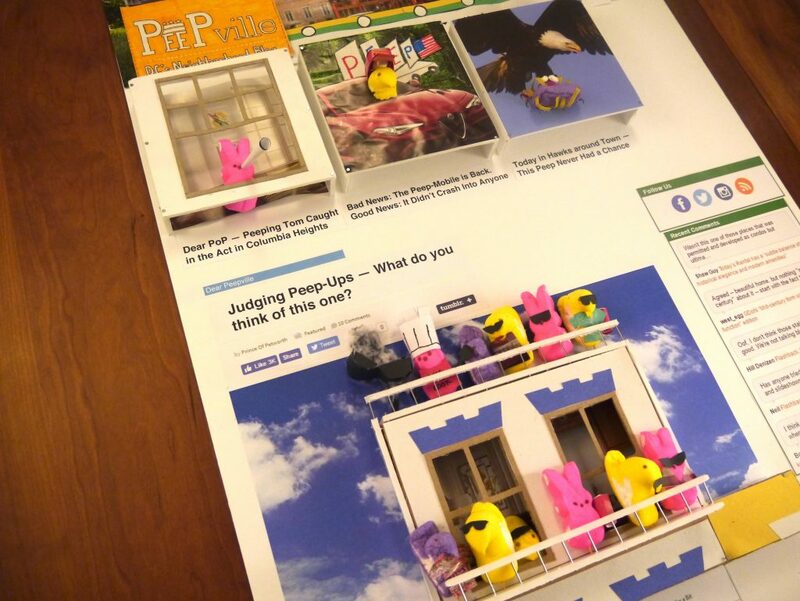 And don’t forget This Year’s PoP Peep Project will kick off again late March!